Joseph is a highly accomplished watercolour artist who believes that it is important to work outdoors, on location, as much as possible. Painting in Australia he creates a magical mood in his watercolours as he paints a Melbourne street in the evening light and captures the atmosphere of coastal scenes along the Great Ocean Road. 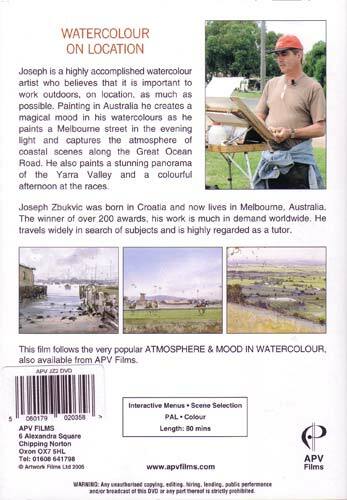 He also paints a stunning panorama of the Yarra Valley and a colourful afternoon at the races. This is the best DVD I have seen in a long time. I have been painting for over 20 years in Watercolour, and this DVD has given me a lot to aspire to. 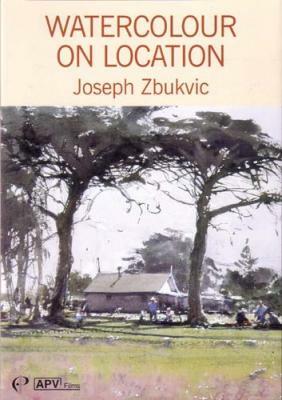 Joseph Zbukvic' is a painter to keep your eye on. What makes it even better, is the fact that you can buy it from Ken Bromley a bit cheaper than APV. Mr. Bromley has never let me down with anything he sells'.